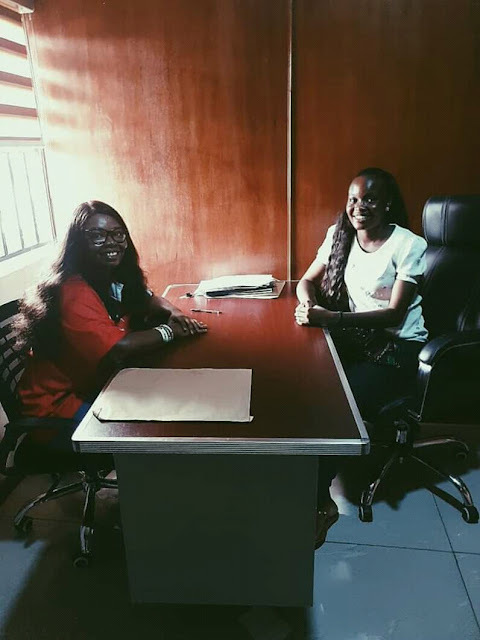 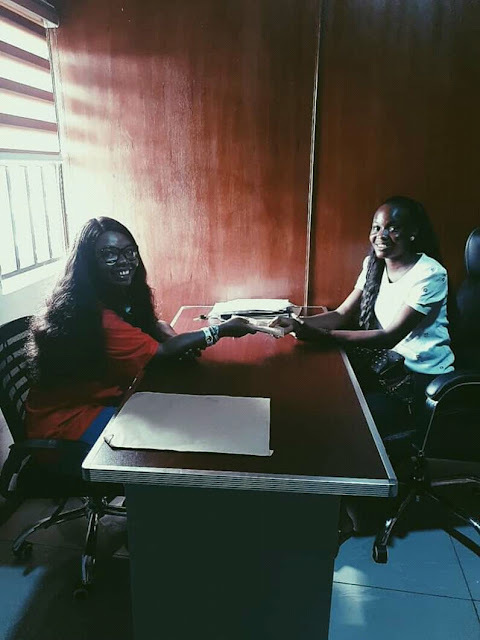 Rivers State University (RSU) recently had her Matriculation on the 6th of February,2019. 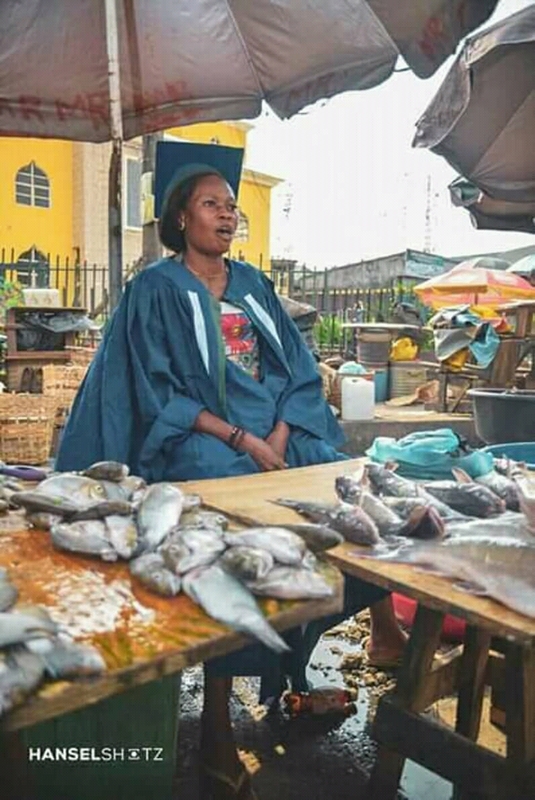 It was said that over 3,000+ students were admitted into the institution,meanwhile, the event featured the vice chancellor,the Deans of various faculties and other staffs of the school. 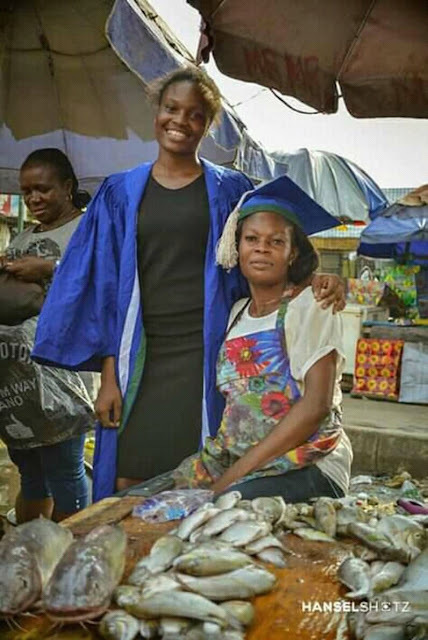 It was therefore a joyful day for the freshers as they were seen celebrating with family and friends but something seldom happened, a matriculant shared a picture of her celebrating with her mum at her working place. 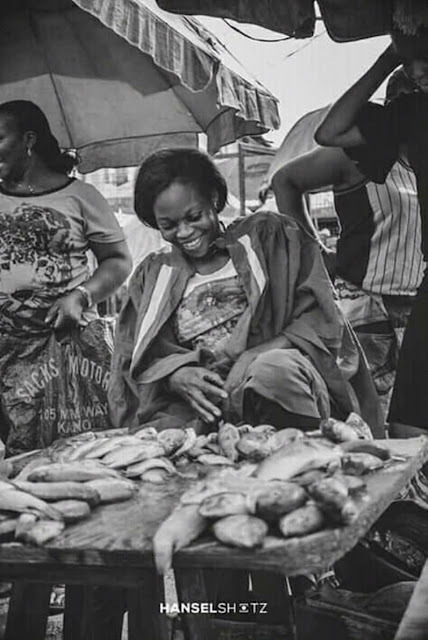 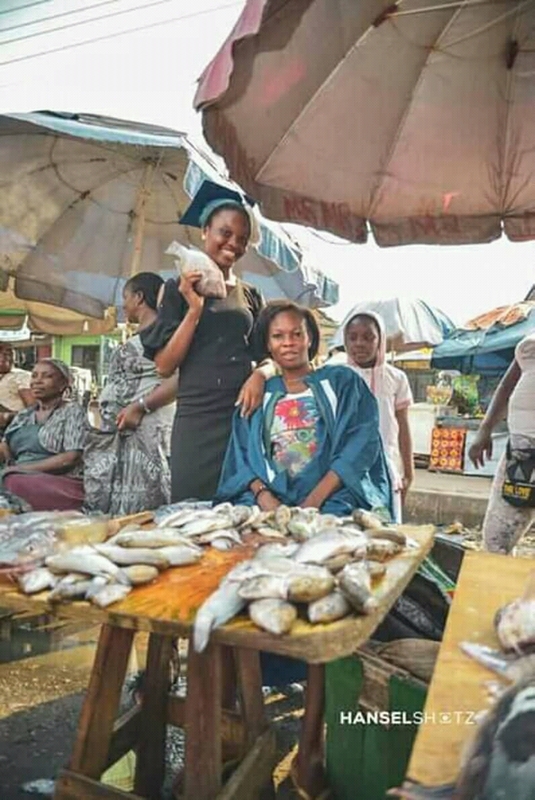 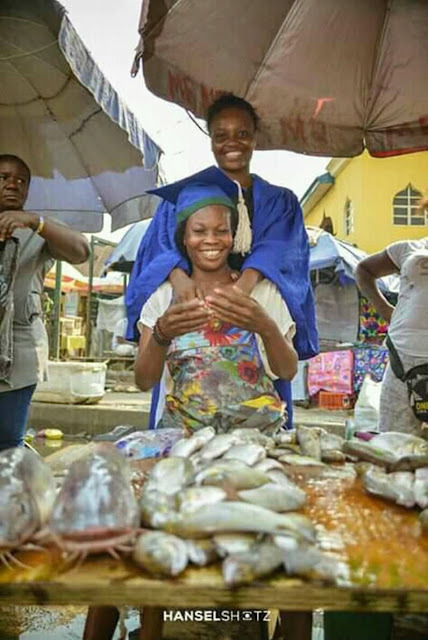 The matriculant whose name, Elsie Worgor, went to Mile one market in Portharcourt with her matriculation gown to celebrate with her mum who is a trader there. 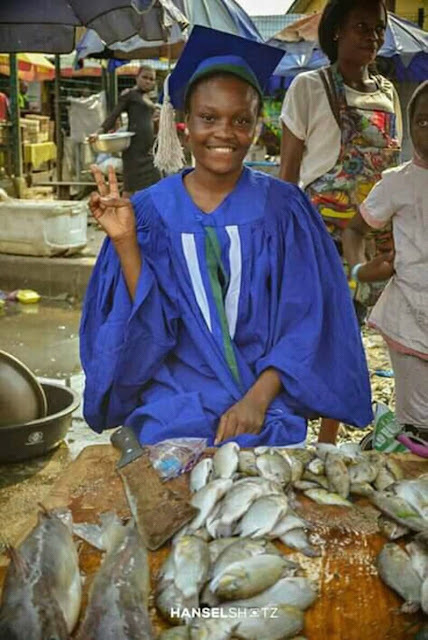 Reports gathered shows that her mum is a widow who is working hard to train her four kids. 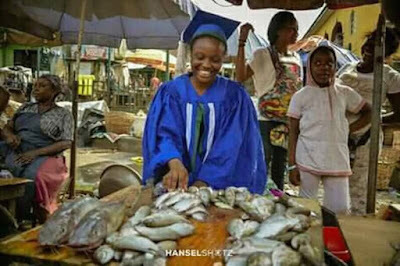 This alone caught the attention of the SUG Excos and a even a honourable whose name is, Soibi Ibibo Jack. The matriculant was given some words of advice and tokens from both the SUG vice-president and the Honourable.